Let's face it, if you're looking to buy a Samsung flagship smartphone, this isn't a good time at all. In about a month from now, the South Korean company is expected to unveil its newest top-tier smartphone, the Galaxy S10. 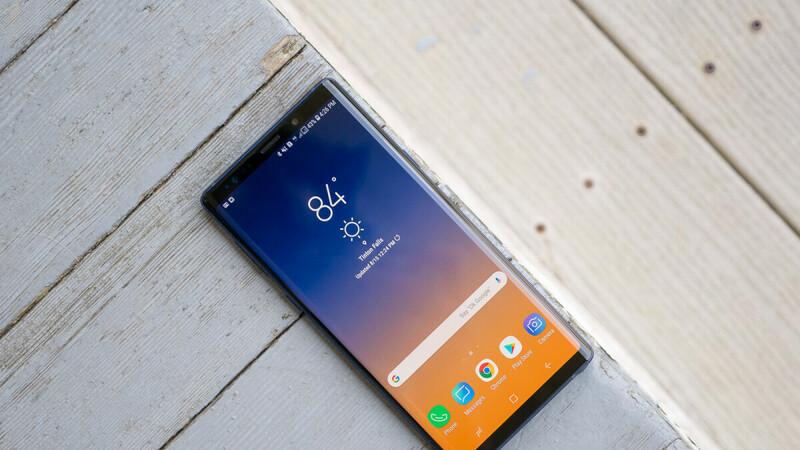 However, Samsung is now running a sale on the Galaxy Note 9, S9 and S9+, which is hard to pass up. For a limited time, Samsung Galaxy Note 9, S9 and S9+ cost $200 less if you buy them from the Samsung store and choose AT&T, Sprint, or Verizon models. For some reason, T-Mobile and U.S. Cellular models have a smaller $100 discount. Also, the unlocked versions of these phones aren't discounted. Besides the price drop, Samsung also offers $300 off instantly for trade-ins. Depending on what phone you trade for the Galaxy Note 9, S9 or S9+, you might or might not receive the maximum trade-in value advertised by Samsung. For phones like Samsung Galaxy Note 8, S9, S9+, iPhone 8 Plus, and iPhone X, you will most certainly get the $300 instant trade discount if they're in good condition. If you own a Pixel 2 XL, Samsung Galaxy S8+, iPhone 8 or iPhone 7 Plus, you'll have to do away with just $250 off, but that's still a good deal. Basically, you can get up to $500 off on the Galaxy Note 9, S9 and S9+ if you have a top-tier smartphone that you're willing to trade. Why in the world would I fool with Verizon or AT&T when I've got 5 lines for $125? I left Verizon years ago because they played games and made you gamble on data plans. The old guess how much data on websites you will download when I click a link or pull down an email. They are still playing the same game they played 12 years ago. Suckers!